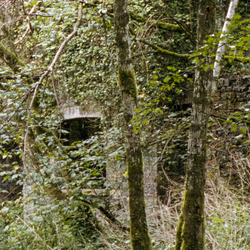 Bibio - Phantom Brickworks Print: Fussells 1. Bibio. Strictly limited edition 560 x 383mm Giclée print on Hahnemühle Photo Rag. 30mm plain white border. ALL PHOTOGRAPHY BY BIBIO, SHOT ON 35MM KODAK PORTRA COLOUR FILM USING A LEICA MP RANGEFINDER CAMERA.